Just a month after unveiling the world’s slimmest smartphone, Gionee is all set to launch the Gionee ELife S5.5 in India this month. 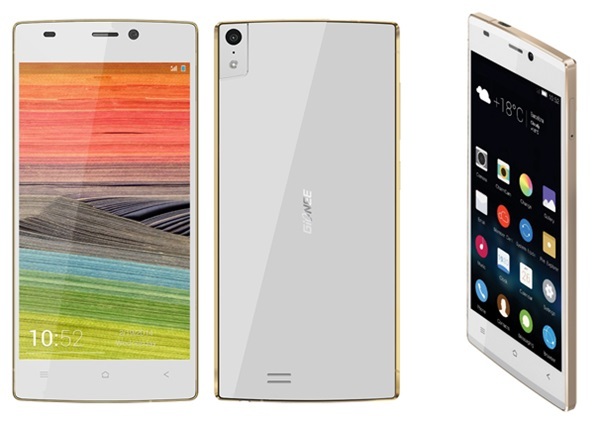 Gionee has sent out press invites for the launch event of Gionee ELife S5.5 to be held in India on March 30. Sadly the pricing details and availability of the smartphone are not yet revealed. The device is known for its slim magnesium alloy frame which measures just 5.5 mm thin. The handset has a 5 inch display with resolution of 1920 x 1080 pixels and the Corning Gorilla Glass 3 protection. The Gionee ELife S5.5 is powered by a 1.7 GHz quad core processor along with 2 GB of RAM and 16 GB of internal storage. The smartphone is equipped with a massive 13 MP rear facing camera with LED flash. There is also a front facing 5 MP camera. The phone has a 2300 mAh battery, which the company claims would last an entire day on a single charge.